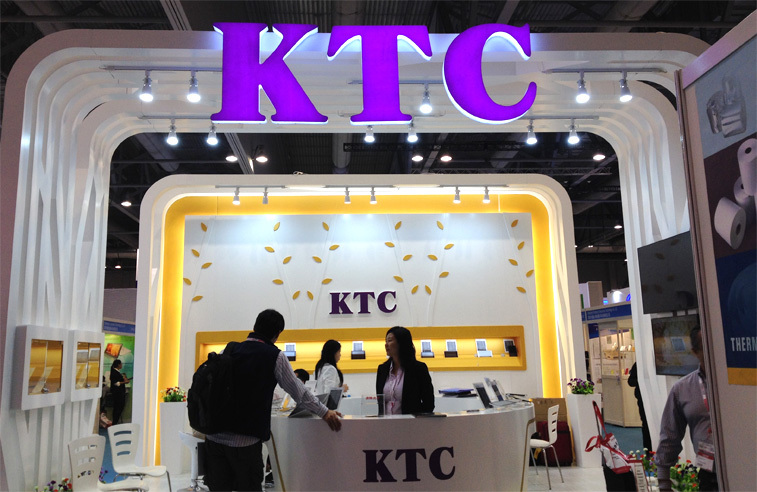 KTC attended 2013 HongKong globalsources Electronics Exhibition on Oct 12 to 15 at HongKong AsiaWorld-Expo. 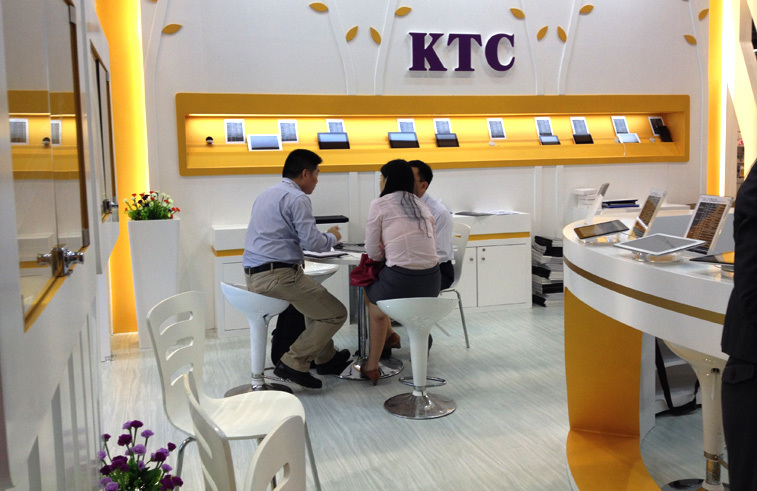 KTC's foreign sales department brought our whole series tablet PC to the exhibition and received favourable comments from new and old customers. Our company's booth integrated with the modern technology feeling, adopted the factor of trees, used different tree shapes to intersperse and attracted a lot of attentions from customer. This design agrees with our pursuit of setting up excellent quality control and environmental protection system. Our company displayed each size tablet PC, the 7 inches based on business markets, conquer many current fashion players with its balance and powerful parameters; 10 inches mainly on its HD large screen, giving the flagship video performance to users; 8 inches for its fashion appearance and good performance. HongKong Globalsources Electronics Exhibition is the biggest electronic products procurement event in Asia, attract many professional electronic products manufacturers, merchants and exporters to attend, it is a professional, international trading platform. By attending this Electronics Exhibition, not only show our high quality products, expand our awareness, also got market forefront information during communicating with the clients and peer professionals. Tablet PC industry is a rapidly growing markets, quad-core, 3G and other elements are the trend of market. In the current market competition, our company should increase efforts and speed up in tablet PC development, and adhere to high quality. Provide customers with the best quality products.